Tea is one of my passions! Do you love tea, too? Yes? Engage with tea in a mindful way that will melt your stress and tension away. Add more nourishment and goodness into your life so that you fill to the brim with joy. 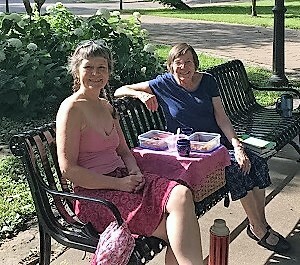 Create sweet connection with yourself and others in good company! Katy has a deep, calming presence as well as an impressive wealth of knowledge and wisdom on mindfulness. She brings her spiritual teachings to a very earthy, practical level. as we humans seek ways to be more present and soulful in our daily lives. I have an obsession with Tea!! to bring more mindfulness and nourishment to your private event! In this 1.5 hour workshop, we combine the simple act of drinking tea with presence practices to develop mindfulness of body, heart, mind, and soul. Through meditation, experiential exercises, poetry, readings, and inquiry, we grow awareness of ourselves, each other, and the tea we are engaged with to land more fully in the present moment. Mindful Art of Tea Gathering, TBA. I developed this randomly with Barbara, the dear friend featured with me in the photo! We both love poetry and met to read it to each other while sharing tea. 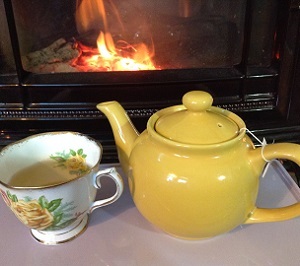 Tea & Poetry sessions are 2 hours and include poetry and tea paired with the season or another theme. We use the poetry as a way to reflect on these themes in our lives and deepen our connection. Tea & Poetry Gathering, TBA. 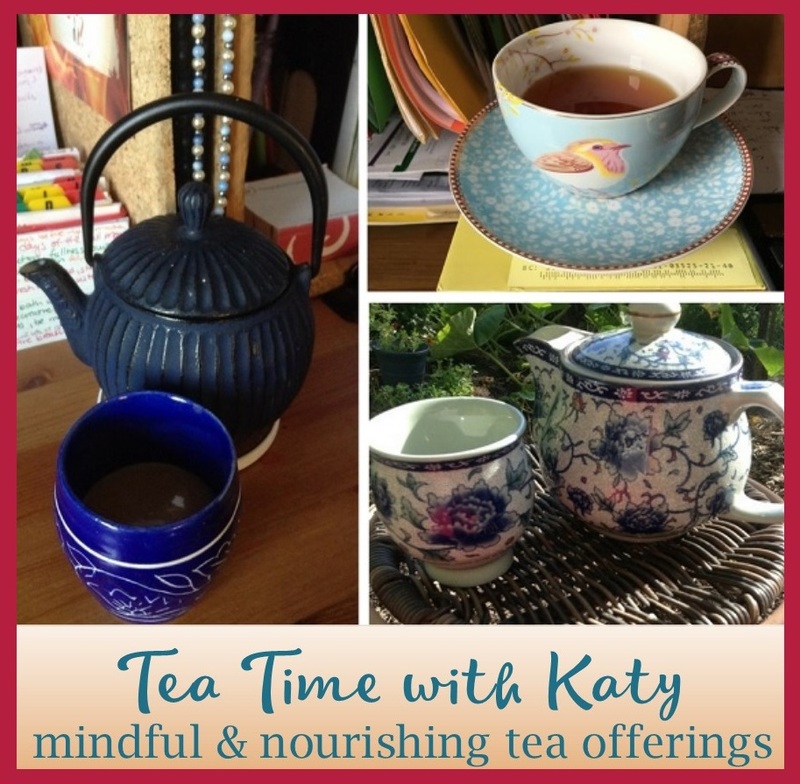 In the cozy safe container Katy creates with her own mindful presence during The Mindful Art of Tea, I felt more able to connect with my own grounded “beingness.” Now, in having tea, I find the pleasure of coming home to myself, rather than just a brief escape from a busy day. Maybe I was English in a past life! Or maybe it’s my genes? I don’t know any other way to explain my fascination and love of High tea! However, I am also a Health Coach, so the food I create and serve has to be HEALTHY, not just yummy. 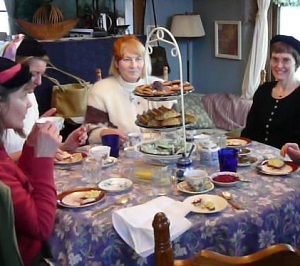 Healthy High Tea includes a 3-course gluten- and mostly dairy-free spread (may include butter and/or eggs) with herbal, green or white, and black tea paired with each course. All the teas are organic from Plum Deluxe in Portland, Oregon, and the food is mostly organic and all homemade, with no refined sweeteners. 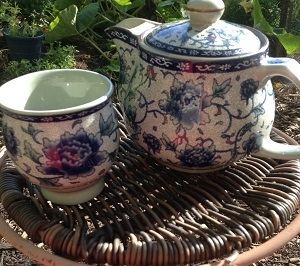 Sipping tea served in my nana’s eclectic tea-ware, which is served in pots from my world-wide tea pot collection, we will engage with meaningful community-creating topics so that we can connect and nourish ourselves on all levels. could taste so wonderful. Also, it was really great to meet so many nice people. Do you take mindful time for yourself, for yourSelf? Resting deeply in our true Selves is different from watching TV, zoning out with our favorite substance, or cruising around the web. Being mindfully attuned to whatever we are engaged with. We will engage with our creativity, meditate, share, and take time to deeply fill our wells so that we can meet the world with more presence. Next Gathering, TBA. See calendar. 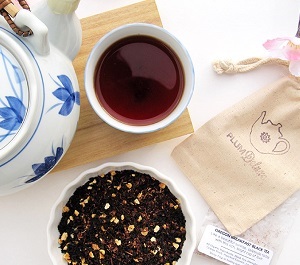 If you’d like to nourish yourself with organic tea and good company, consider joining this Tea Club, created by Plum Deluxe in Portland, Oregon. Enjoy 1-2 surprise, handcrafted teas every month, a sample of another specialty tea, free shipping on all purchases, a vibrant, hosted, facebook private group for tea lovers that focuses on making moments that matter, and other members-only perks. Get 10 DIY Ways to More Presence and Less Overwhelm!